The creator of “Mr. Kat & Friends” Jaime Alvarez has joined Domestika a a community in which thousands of professionals with different creative profiles interact in a network and share their work and knowledge. 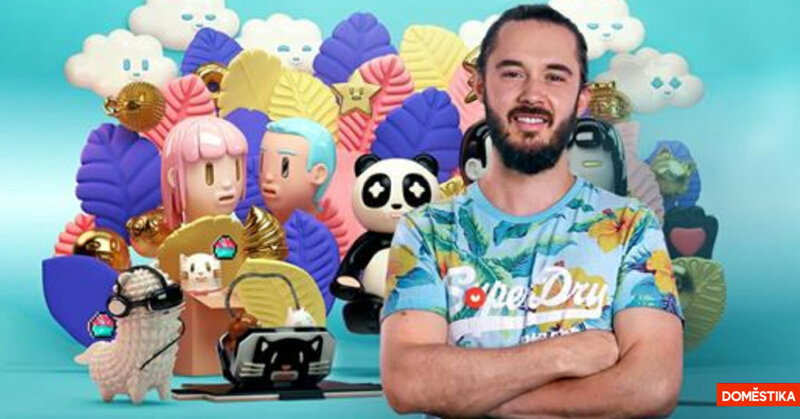 Jaime Alvarez will show you his process to create characters in Cinema 4D, touching all the important steps like polygonal modeling, splines, rendering engine, UV Map, texturing, motion capture animation and postproduction to generate ready pieces to show the world. Perfect step to making your own designer toy. For beginners and intermediate level designers who want to specialize in 3D character design. Jaime Álvarez Sobreviela is the creator of Mr. Kat & Friends, a universe of characters led by Mr. Kat and accompanied by his closest friends: the fluffy cat Vanilla and the mystic Cosmic Panda. His character style has a marked kawaii style, also inspired by ancestral cultures and their own cats. A combination as heterogeneous as it is evident when he sees his works. Jaime Alvarez GIVE us a full designer toy already! HA. The course is priced at $19.90 USD at https://www.domestika.org. Find Mr Kat via Facebook, Instagram and Behance.